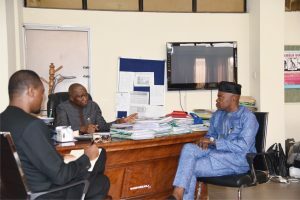 Nigeria National Accreditation Service (NiNAS) paid a courtesy visit to the National Agricultural Quarantine Service (NAQS) on Friday, 7th December, 2018. 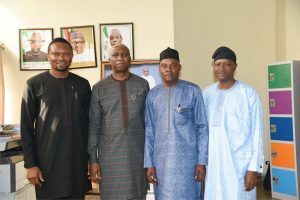 The visit was necessary considering the strategic role NAQS plays in the Nigerian economy. Hence, the management of NiNAS deemed it fit to find areas of collaboration between the two organisations. 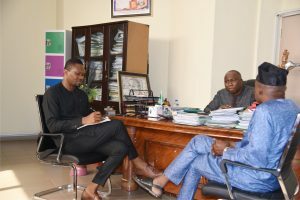 This collaboration will go a long way to add value to the National Quality Infrastructure through the advancement of accreditation.